The World Heavy Oil Congress & Exhibition (WHOC) provides an annual global platform for the entire heavy oil value chain to network, generate new business, and learn about latest project and technological development within the heavy oil sector. WHOC 2019 offers an unparalleled opportunity for knowledge exchange through a two-day strategic conference featuring key insights from global business and thought leaders; a three-day technical conference featuring case studies and presentations across upstream and downstream heavy oil projects; and a three-day international exhibition where NOCs, IOCs, EPCs, OEMs, service and technology companies will showcase their projects, products and services. Diversity in Energy Summit brings together the energy industry at a world class venue in London for a unique event shaped for companies that see diversity as critical to future success. 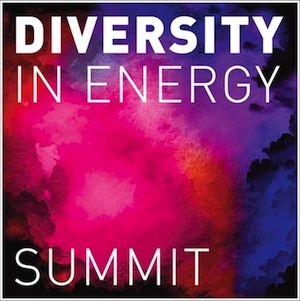 Hear directly from key players, decision makers and experts in the fields as they tackle the thorny issues around diversity with the aim of highlighting what can be done to progress diversity within oil, gas & energy globally. There will also be an exhibition and a networking reception. The 10th Mediterranean Offshore Conference & Exhibition MOC 2019 is the Egyptian Petroleum Sector’s biannual international meeting under the Patronage of the Minister of Petroleum and Mineral Resources of Egypt, H.E. Eng. Tarek El Molla targeting the Mediterranean Oil & Gas Offshore industry. The MOC history is an overall success, which passes through the economic and political changes of the recent years: more than 15,000 attendees are expected to participate, representing over 20 nations and including an attendance of over 1,800 conference delegates: figures that reveal the outstanding role of MOC for the North African and European energy industry.